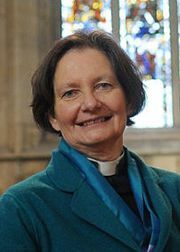 Her Majesty the Queen has appointed the Very Revd Vivienne Faull as the 57th Bishop of Bristol. Faull’s connection to Clare is strong as an Honorary Fellow and former Chaplain. Faull will be consecrated as a Bishop in St Paul’s Cathedral on 3 July, and installed as Bishop of Bristol at Bristol Cathedral in the autumn.